Lifestyle Edition based on the petrol-powered Audi A6 TFSI. Gets two 10-inch tablets on the rear seat for infotainment. Audi has launched the A6 Lifestyle Edition in India priced at Rs 49.99 lakh (ex-showroom pan-India). That makes it Rs 5.89 lakh less than the A6 35TFSI Technology, which is priced at Rs 55.88 lakh (ex-showroom India). The A6 Lifestyle Edition is equipped with some additional features including a rear seat entertainment system with two 10-inch tablets, a portable electric coffee maker and a logo projection lights on doors. Other notable features on the A6 Lifestyle Edition include 8 airbags, adaptive air suspension, 8-inch touchscreen infotainment system with Apple CarPlay and Android Auto, Bose surround sound system, 360 degree camera and four-zone climate control. The Audi A6 Lifestyle Edition might be the last update that the existing A6 gets before the new model is launched in India, which is expected to happen later in 2019 or in 2020. Mumbai, March 05, 2019: Audi, the German luxury car manufacturer, today launched the Audi A6 Lifestyle Edition in India. The Audi A6 Lifestyle Edition is equipped with new features to provide an exclusive luxury experience to the customers at an attractive price range. Features like the Rear Seat Entertainment, Espresso Mobil and Entry Exit Lights with Audi logo projection in the Audi A6 Lifestyle Edition makes it more luxurious than before. The Rear Seat Entertainment offers a fully integrated infotainment system on the road while enjoying a coffee break with the innovative in-car Espresso Mobil. Special Entry Exit Lights that project the four rings onto the ground is more than just an eye-catching feature; they also make it easier to enter the car when it is dark. The Audi A6 Lifestyle Edition is priced at INR 49,99,000. "Luxury is about having a range of choices and at Audi, we always strive to offer the best configurations in our Audi range to our discerning customers. The Audi A6 Lifestyle Edition has been configured specially for Audi customers who are looking forward to enjoy the thrill of driving in the lap of luxury. Features like the Rear Seat Entertainment and Espresso Mobil in the Audi A6 Lifestyle Edition are meant for the new age customers who like to move around impressively and with style. 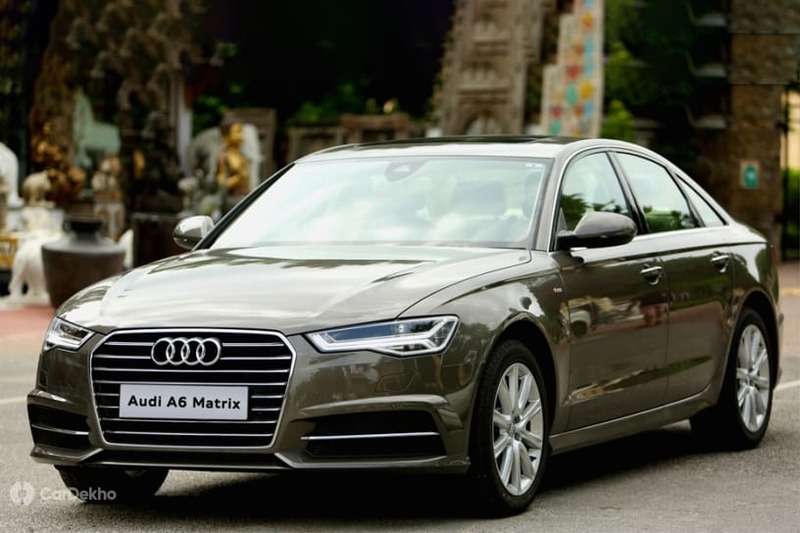 With the introduction of the Audi A6 Lifestyle Edition, we have further increased the luxury quotient of the already favorite Audi A6 amongst the luxury car buyers,” said Mr. Rahil Ansari, Head, Audi India. The Audi A6 Sedan combines innovative technologies, progressive design, and exciting versatile equipment options into an exceptionally sporty and elegant symbiosis. With a Seven Speed S tronic transmission, Adaptive Air Suspension and Audi Drive Select, the Audi A6 is a delight on the road. The Audi A6 also boasts of multiple infotainment features, including the MMI Navigation with MMI Touch, Advanced Voice Dialogue system and Bose Surround Sound. The Audi Smartphone Interface puts the customized environments Apple Car Play and Android Auto on board and on the MMI pop-up screen. The various assistance and safety features like the Audi Pre Sense Basic, Audi Parking System Plus and Eight Airbags provide a secure driving environment. The A6 Lifestyle Edition now also boasts of features like the Rear Seat Entertainment, Espresso Mobil and Entry Exit Lights with Audi logo projection. With the Rear Seat Entertainment, rear seat passengers can enjoy infotainment through networked tablets with 25.65 cms touch screen that also work outside the car. "I am excited to announce that we have an interesting year coming up in 2019, the Year of the ‘8’s with our flagship models to come. The focus of this year will clearly be on continuing to offer our customers and Audi enthusiasts a new and exhilarating line up of products to choose from and to own their favorite Audi,” added Mr. Ansari.